Elegant bow tie groom, wedding. hd00:06Man straightens bow-tie. Well-dressed young man puts and adjusts classic black bowtie on white shirt. Close up. hd00:05Man straightens bow-tie. Well-dressed young man puts and adjusts classic black bowtie on white shirt. Close up. 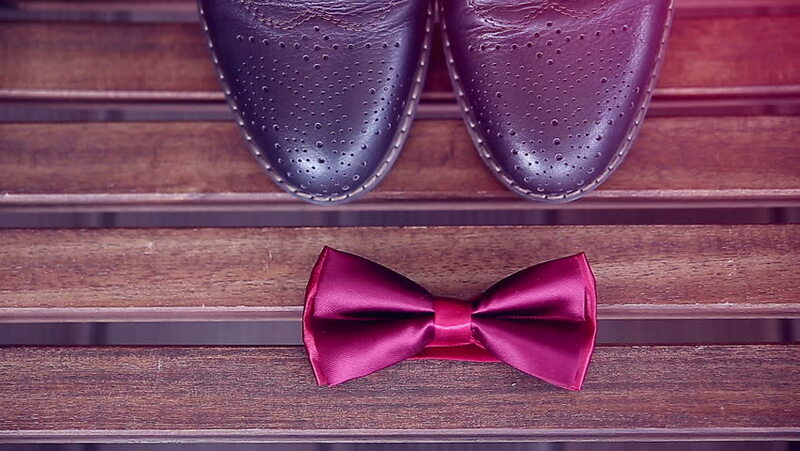 hd00:06set wedding groom, men's accessories for wedding. hd00:16High angle view of groom's kit preparing for his wedding. He's excited and can't wait to see her bride. 4k00:07Slow dolly in shot of a couple of purple bow tie with two wedding rings of two homosexual men for the gay wedding ceremony.